"Hi Corinne I wanted to take a moment to write and thank you for the amazing job you’ve done collecting my bad debts. You did it quickly and efficiently. Thanks again!" "Corinne and Jeffrey really know their stuff. Getting money is what they do! I feel sorry for the customer that doesn’t pay. Simply stated Corinne and Jeffrey are not putting up with those lame excuses and will take whatever actions needed to move things along. Would definitely recommend!" "Corinne is an excellent attorney. The Firm are experts in their field with a professional staff. Super returns in collections!!" "Dear Corinne: Thank you for your successful efforts on behalf of me and my client. The collection of this account was very doubtful and through your efforts, we were able to receive a fair settlement on a timely basis. The payments that were made were monitored and followed up on by you and your staff, and there was good communication through out the whole process. Thanks again for a successful result"
"I have used Corinne Rosner, P.A. for collections and legal issues for several years. Their work has exceeded expectations. 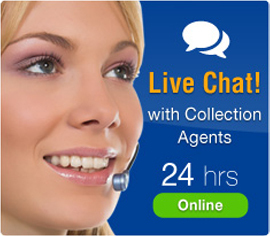 The collection services they have provided have generated results with and without going to court. I mention that because some collection services indicate they have attorney's on staff and they don't. Being a business person you hope you never need collections service, but when you do, it pays to get the results provided by Corinne Rosner. " --Tom Loumankin President Sky Way Enterprises,Inc. 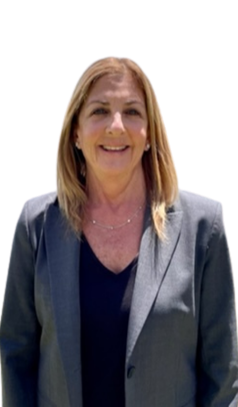 "I am amazed at the efficient recovery process that Ms. Rosner uses, the process was simple and provided extremely fast results for our company. Very polite and professional, I highly recommend this firm, no need to look elsewhere. Thanks Corinne"
"Anybody in business like myself deserves to be paid. When Corinne was brought in to collect from some clients who just refused to pay our bills, their unwavering determination and strong negotiation skills helped to resolve matters swiftly. Corinne’s methods outperformed my clients attorneys bar none and we received payment! Corinne I hope you can continue to help others in getting their money. Great job"
"The purpose of this email is to thank you, and commend you, on successfully collecting funds on my behalf. Corinne demonstrated outmost professionalism in dealing with an extremely difficult and nasty person. This effort resulted in my receiving more money back than I deemed possible. I have and will continue to recommend others to your firm. " "We have used Corinne B. Rosner, P.A. services for the last 7 + years. At one point we turned a few accounts over to a larger nationwide firm and it was simply a joke in comparison to the work Corinne provided. They are quick to respond, and they provide us with the facts we need in assisting us to receive our funds." "Several years ago I obtained a significant judgment. I was unable to locate any assets or make any progress in collecting. Fortunately, I hired Corinne Rosner, P.A. They located assets and assisted me in collecting on the judgment. I highly recommend them." "Outstanding attention and caring to my difficult case would recommend this special team to any one who needs only the best "
"We have worked with Jeffrey Rosner at Corinne B. Rosner, P.A. for more than 4 years and any time I have an account I am unable to collect on, he has been able to recover our money for us quickly! Most recently I turned an account over to him that he was able to collect within the week. He always keeps me updated throughout the process. I know once I give the account to Corinne B. Rosner, P.A. I don't need to worry about it any more because Corinne & Jeffrey will get RESULTS! I really appreciate your help!! Thanks!" --Kim Polidoro Bay Guard Pool Services, Inc.